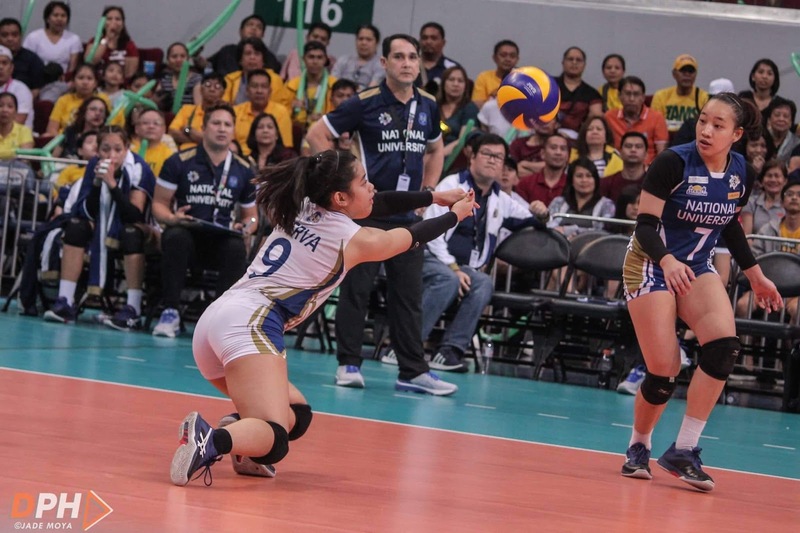 PASAY CITY - The NU Lady Bulldogs killed off the UP Lady Maroons final four hopes after beating them on a thrilling five-setter match, 25-21, 26-24, 17-25, 23-25, 17-15, Sunday afternoon at the Mall of Asia Arena. With that Lady Bulldogs win, they are now on 4-9 while the Lady Maroons is now out of the Final Four contention with 6-7 and falls on the fifth spot of the standing. Prized Rookie Libero Jennifer Nierva led the Lady Bulldogs win with not just her leadership and her smart plays but also her 30 digs and her 27 excellent receptions. Seniors Audrey Paran and Roselyn Doria with rookie Princess Robles also chipped in points for the Lady Bulldogs win with 15, 12 and 20 points respectively. Captain Tots Carlos led the Lady Maroons with 18 attacks while graduating Lady Maroon Ayel Estrañero also got 11 points with 3 blocks, 3 service aces and 24 excellent sets for this game but still fell short. NU Lady Bulldogs will try to continue their winning streak after the Holy Week Break against the Ateneo Lady Eagles on April 24, Wednesday, 4 p.m., at the Filoil Flying V Centre while the UP Lady Maroons will play their last game of the season against the Adamson Lady Falcons on April 27, Saturday, 4 p.m., at the Filoil Flying V Centre.